Health & Sports Swim Club offers swimming lessons in Auckland. It is operated by Health & Sports Fitness Club. Lessons are designed for children of all ages and abilities, with strong focus on water safety. Our instructors are dedicated to ensuring their students become confident strong swimmers. The pool is heated to 29.5 degrees and is 25m in length, ensuring students are confident in both shallow and deep water. We also have a café where you can relax and enjoy our selection of delectable refreshments, while you’re watching over your kids. Discounts are available for Health & Sports Club Members. Hear about us from our members! Read our testimonials here. These classes are 7 days a week. After school sessions range from New Beginners to Squads and run from 3:30pm – 7:00pm. After years of watching her 7 grandkids take swimming lessons with us, Nancy decided to take the plunge and take lessons herself. It’s awesome to see her confidence in the water build so she can play with her grandkids in the pool instead of watching from the sidelines! Whether you’re a beginner or a pro, we can help you achieve your goals. 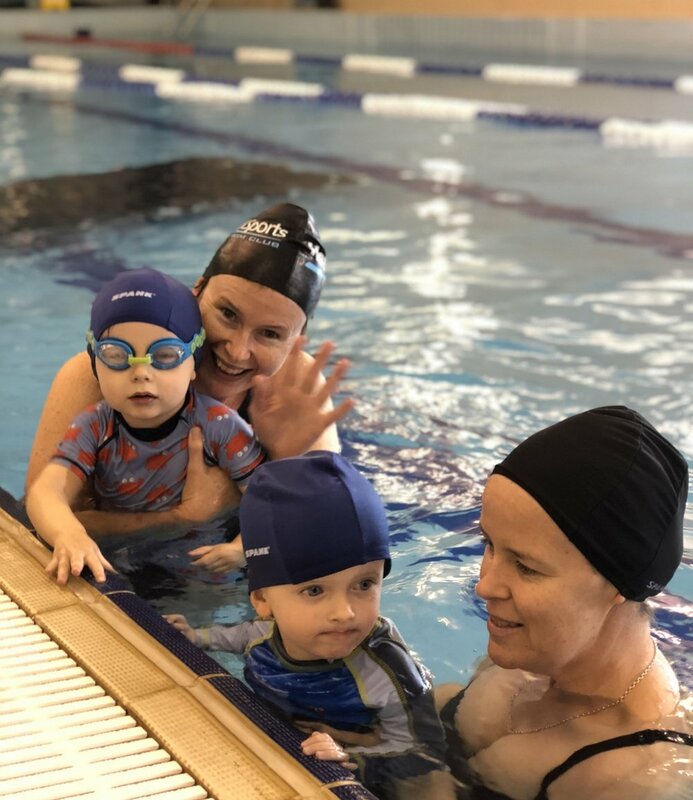 Health & Sports Swim School have experienced instructors who can teach students of all ages, including adults! We have training programs tailored to suit your swimming abilities and needs, be it for training, sports and fitness, rehabilitation, recreation, or pre-employment requirements. We have group session and one-on- one and squads running. This is a FREE swim time for Health&Sports Swim Club and their families, every Sunday between 3:30pm – 4:30pm during term times. Our intensive holiday program is the best way to get your child will go through 5 consecutive days of training to boost their confidence in the water. Perfect to get in before the summer holidays when your kids will be surrounded by water. These trainings are INTENSIVE and great for every child to learn. Next one is coming up soon! Enquire today! Make An Enquiry About Swimming Lessons Today!